Every year, whether or not it is true, everyone hails the incoming freshman class as “the biggest freshman class in UCSB’s history.” The incoming class in 2012 was so large that Santa Catalina began making triples the standardized bed type. In recent years, the University of California educational system has seen a sharp rise in admissions demand, with more prospective students applying for a place each year. Reflecting an increasingly competitive academic playing field, over 170,000 students applied for a place in the UC system for the 2013-2014 year, up from totals closer to 140,000 in 2011-2012, according to UCSB Public Affairs and Communications’ April 18 press release. Due to these rising totals, UCSB in particular has seen its admissions process become increasingly selective. While the system as a whole stands to benefit from a wider applicant pool, our university’s improved stature in the academic community drives competition even further. An annual ranking released by Leiden University in the Netherlands placed UCSB as the second-best institution in the world for 2013 in terms of scientific impact, sandwiched on the list between M.I.T. and Stanford. Leiden University itself is rated as the number one Dutch institution by Times Higher Education. Leiden University and its ranking are given lots of attention each year, with almost 40,000 Facebook shares accrued since the ranking’s April 17 release alone. The prestige offered to UCSB from rankings like Leiden’s are partly to thank for changing trends in UCSB’s admissions profile. 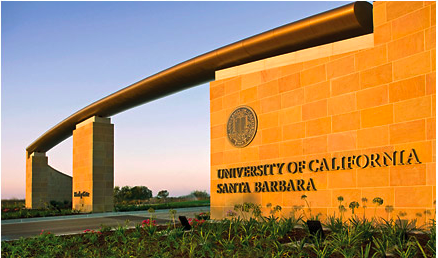 Hailed as UCSB’s “most selective year ever” in the April 18 UCSB press release, 2012-2013 yielded a record number of applicants and, conversely, a record-low admissions rate. With just 39 percent of the 62,000-plus applicants being offered entry into UCSB this year (down from 50 percent of 44,000 applicants in 2009), it is clear that the school’s heightened profile is giving it greater options in whom it selects to admit. As found in campus profiles released by UCSB Institutional Research and Planning each year, the average GPA of admitted students has risen steadily from 4.01 in 2009 to this year’s record-high of 4.13. Amidst increased demand and cut budgets, UCSB Admission seems to have done a commendable job in recent years of maintaining a status quo in total enrollment, with total undergraduate enrollment hovering around 18,000, judging from campus profiles. One trend to watch, however, is an incremental increase in the number of international students. “As an internationally recognized institution of higher education, the campus has been supportive of efforts to attract top students from abroad as they enrich the undergraduate experience here,” Van Gieson said. And indeed, the top students abroad are increasingly finding their way to UCSB’s beautiful campus. In 2009, 271 international students attended UCSB; in 2010, 279 did; in 2011, there were 354; and, last year, it spiked up to 497 students. Van Gieson admitted that the campus has a goal of enrolling up to 10 percent non-resident (domestic and international) undergraduates, but that they are expecting a smaller number of domestic “out-of-state” students to actually enroll. Yet, the goal of 10 percent is a marked change from the 4 to 7 percent goal the admission office had between the years of 2009 and 2012. If this speaks to the decrease of out-of-state students within this rise of total non-resident students, it should make for an increasingly international student body. While this certainly promises UCSB students a more diverse and enriching campus life, along with the increased academic standards by the admissions process, what do these trends spell for California high school students seeking admittance into their public, tax-supported university system? For those admitted, these new academic benchmarks and global inclusivity should result in a vibrant intellectual environment, but these benefits to students may face Californians as a whole with increased roadblocks to higher education. Conflicts aside, it’s clear that our university, as a system and as a campus, is changing with time.